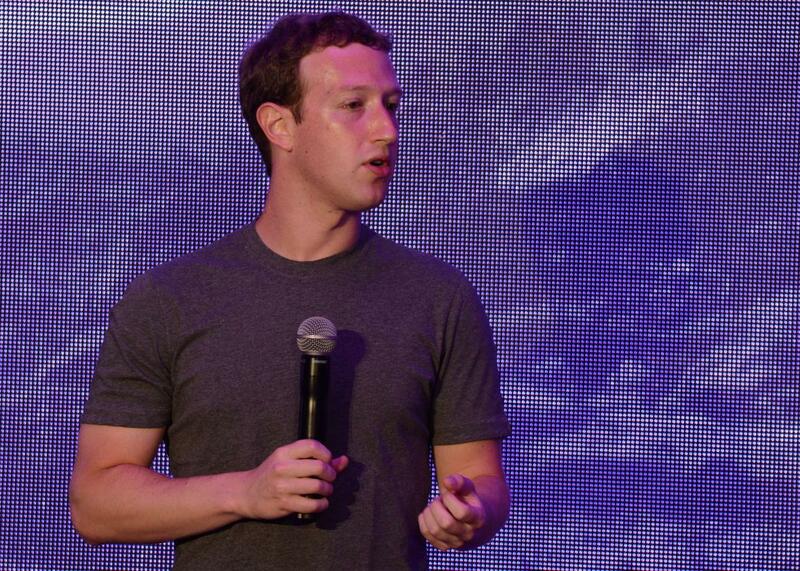 Facebook hopes its Aquila drone will help it bring Wi-Fi to the developing world. On Oct. 13, 2014, Facebook founder Mark Zuckerberg discusses Internet.org, which allows people in underdeveloped areas to access basic online services. In its ongoing quest to conquer—err, make the world a better place, Facebook is building an air force. On Thursday, the company released a video of Aquila, an ultralight solar-powered drone designed to beam Wi-Fi to poor and rural regions via lasers. Made of carbon fiber, Aquila has the wingspan of a 737 but weighs less than a Prius. It flies at upwards of 60,000 feet, high above commercial flights, and Facebook claims it will stay aloft for three months at a time. The company is developing the drones under the auspices of its Internet.org project. As Facebook explains it, a station on the ground transmits radio Internet to one drone, which then beams it to a network of other drones via a new laser technology that Facebook’s engineers invented. The laser system can transmit data at tens of gigabits for second, Facebook says. Those other aircraft then beam the signal to villages on the ground below them. Should Facebook’s drones take off, they’ll share the skies with Google’s Wi-Fi balloons, which are also racing to provide Internet to some of the estimated 2.5 billion people around the world who lack access. Meanwhile, SpaceX and Virgin Galactic–backed OneWorld are working on plans to beam Internet from satellites arrayed in low-Earth orbit, much higher than the balloons or drones but lower than the satellites that provide cellular data today.